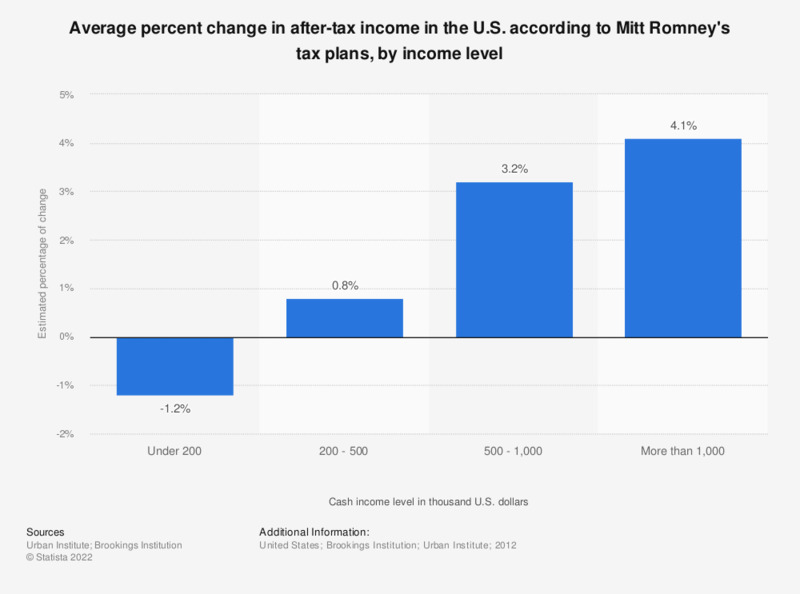 This statistic shows the average percent change in after-tax income in the U.S. according to Mitt Romney's tax plans, by income level. According to the calculations, made by the Tax Policy Center, all income groups earning less than 200,000 U.S. dollars a year would lose about 1.2 percent of income in taxes. Mitt Romney's individual tax plan can be found here.